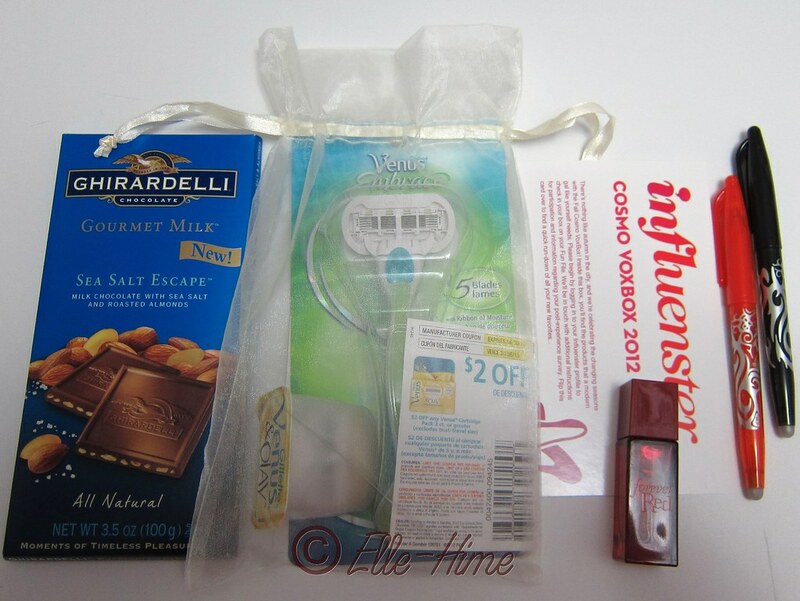 Today I'm sharing the products I was sent to review from the site Influenster. They showcase reviews and reward good bloggers with products to test. And it's way more than just girly beauty products with them, too! They have pretty much every category covered so any type of blogger can join. It was exciting to be picked to receive one of their boxes, and then very suspenseful as the contents are a surprise! 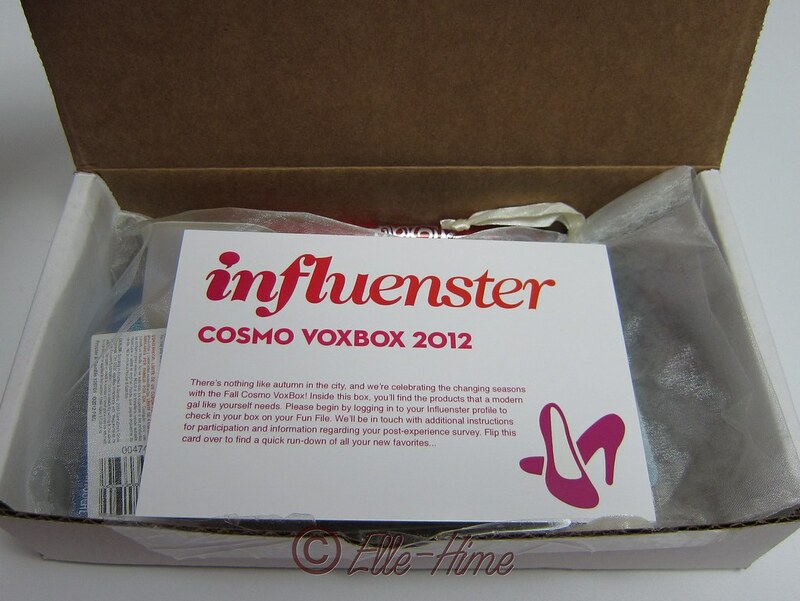 Without further ado I present my Cosmo VoxBox! Straight off one thing that was both surprising and refreshing: no frou-frou packaging. Everything arrived in a compact, plain-white box. They include a card introducing the products they've sent, that is all from their company! I was really surprised, and happy! with the variety in this box. I mean, they sent me chocolate! To review! A razor I had been expecting based on past boxes, and it even included a coupon for more refills. The Forever Red perfume is a mini size, though I will admit I think it should have been wrapped somehow for safety during shipping. And then there are two pens - FriXion gel pens from Pilot Pen. I was really happy to see these because I knew just what they were and have almost bought them before. I'm not going to list the full descriptions in this post as I will be picking each item apart by itself later on, but I will talk about the razor here a bit. Influenster's timing couldn't be better with this product, because I'm down to my last two blades on my current razor, which are no longer being produced. 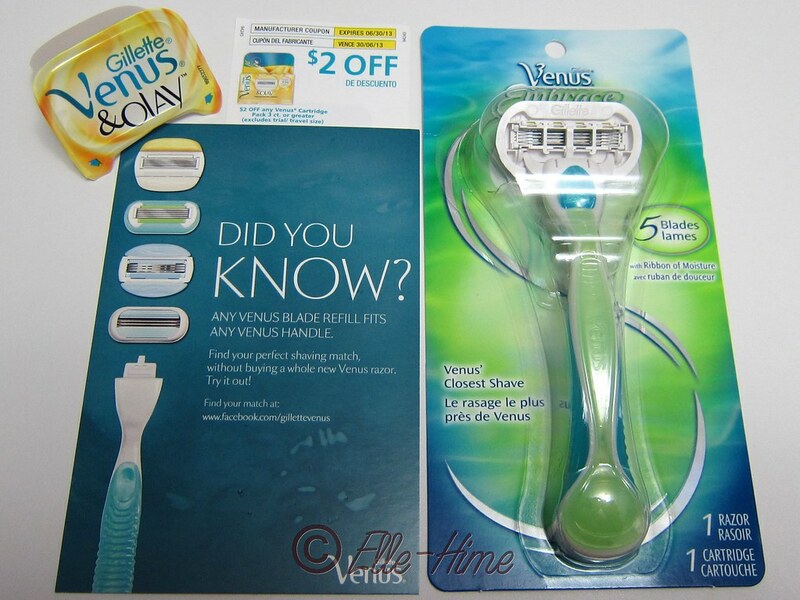 I had considered a Venus razor in the bast but decided against it due to cost and personal color preference. I popped this new razor out of the package today and have begun my trial run with the Embrace blade already attached. I already used the $2 off coupon for a set of their basic blades. They are closer to what I have been using and I'm curious to see how they compare. So, you can look forward to seeing my reviews of these items over the next few weeks. You can find my profile on Influenster here! Right now Influenster is invitation-only, and I have a few invites to share with my fellow reviewers. If you're interested in joining leave a comment or send me a message, I'll help if I can! Zoya - Zuza with Glitter Gradient!